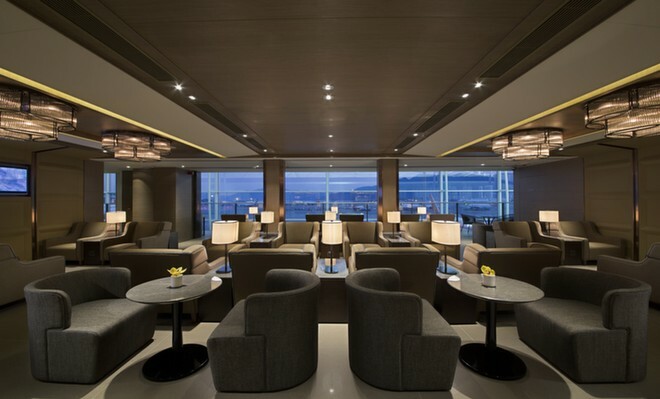 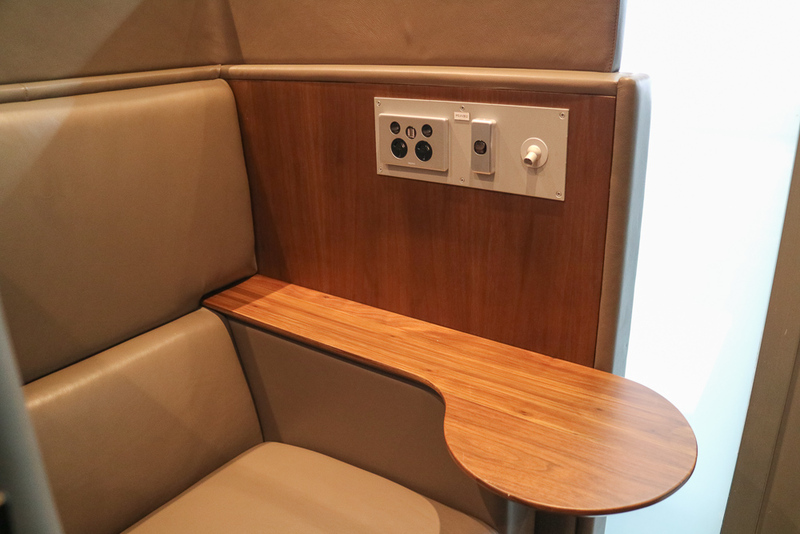 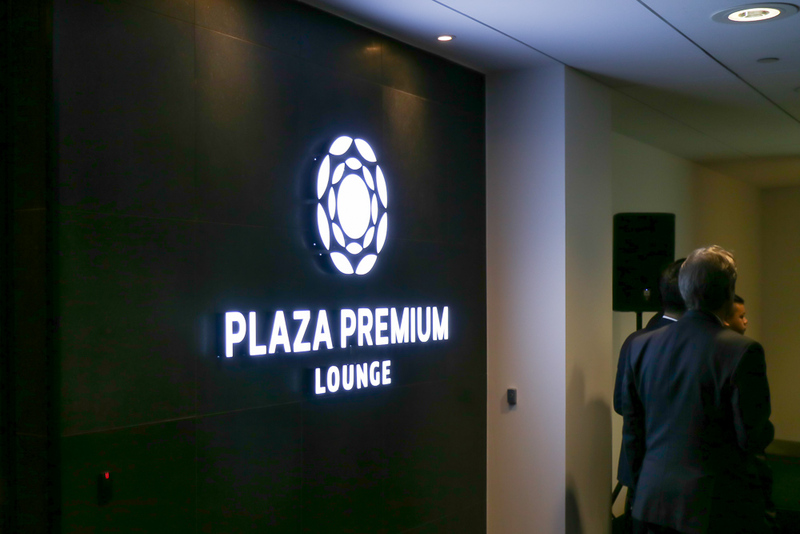 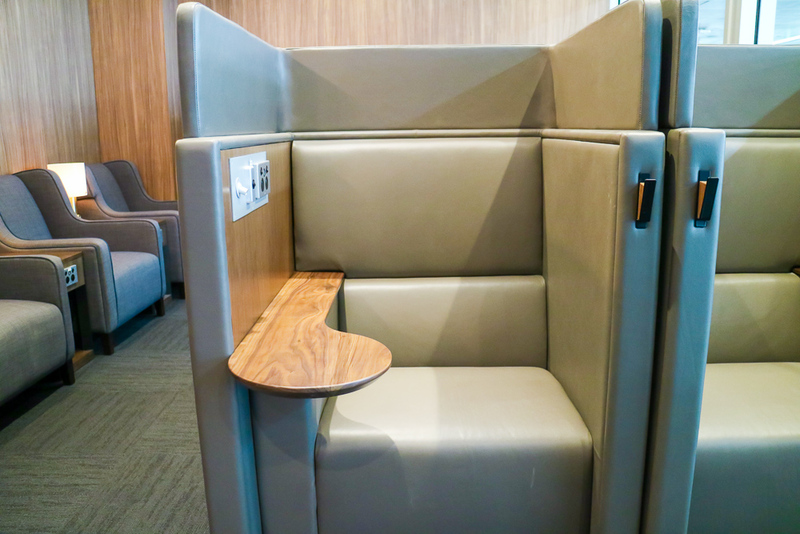 Plaza Premium lounges tend to be of high quality, and this one is no exception. 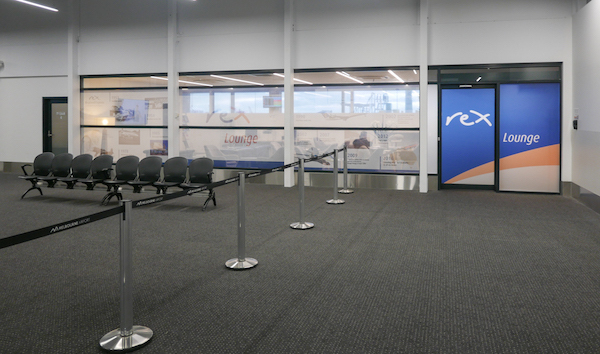 Opened in March 2018, this modern facility is a good option for those with Priority Pass access, as well as American Express Platinum Charge cardholders. 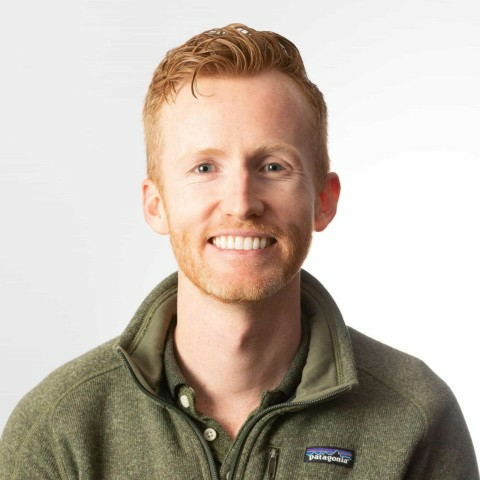 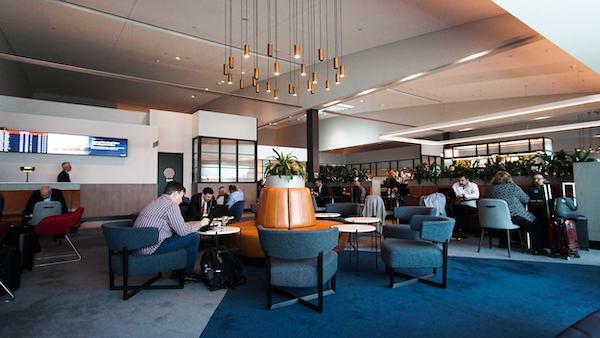 It can accommodate up to 109 guests a time, which is almost twice as many as the capacity of the adjacent American Express Lounge, which you may want to check out if you have access. 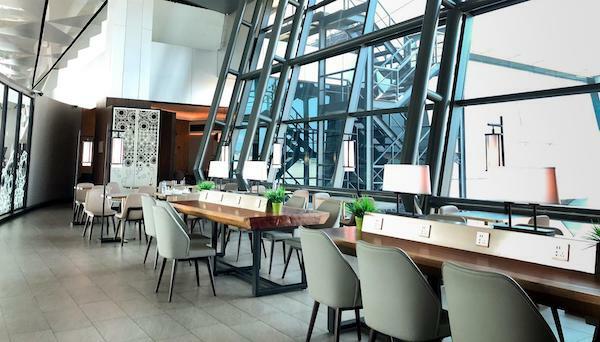 In our opinion, the American Express lounge wins on design and work-friendliness but the Plaza Premium Lounge wins on more food options and natural light. 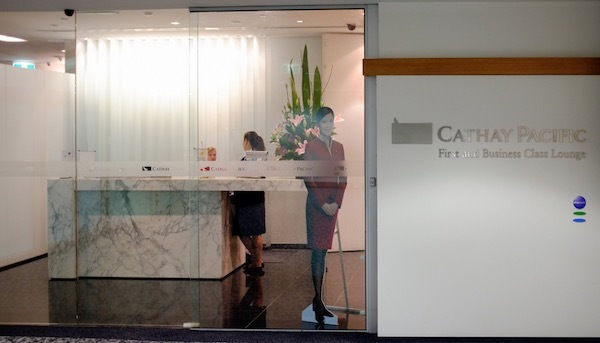 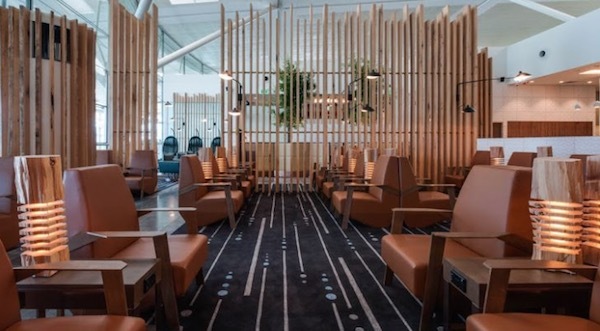 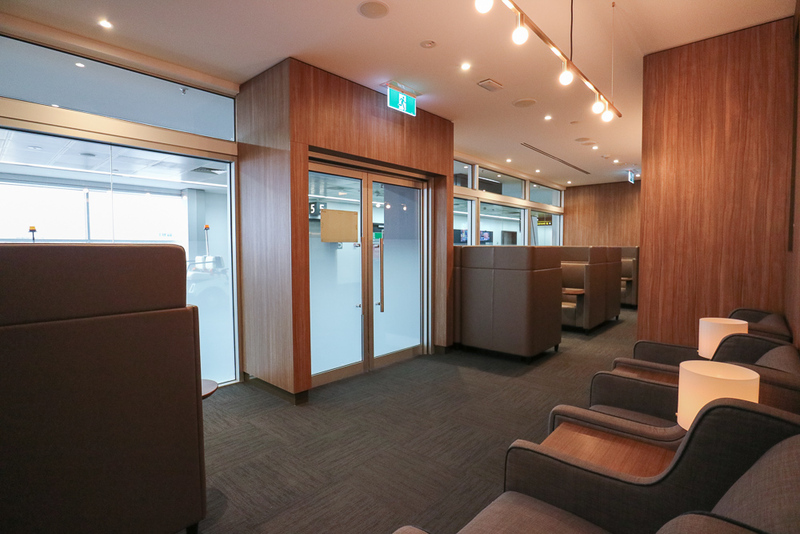 This lounge is located in the international terminal (Terminal 2) at Melbourne Airport, meaning only passengers departing on an international flight can access it. 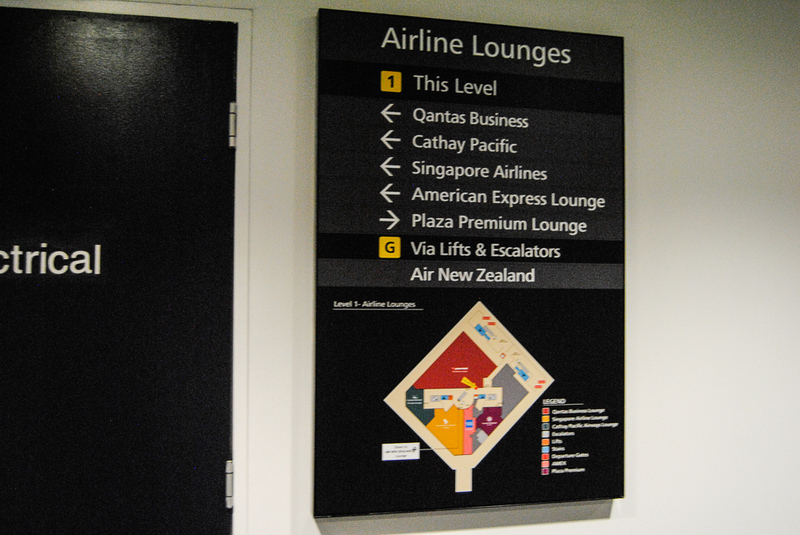 It is located near Gate 9. 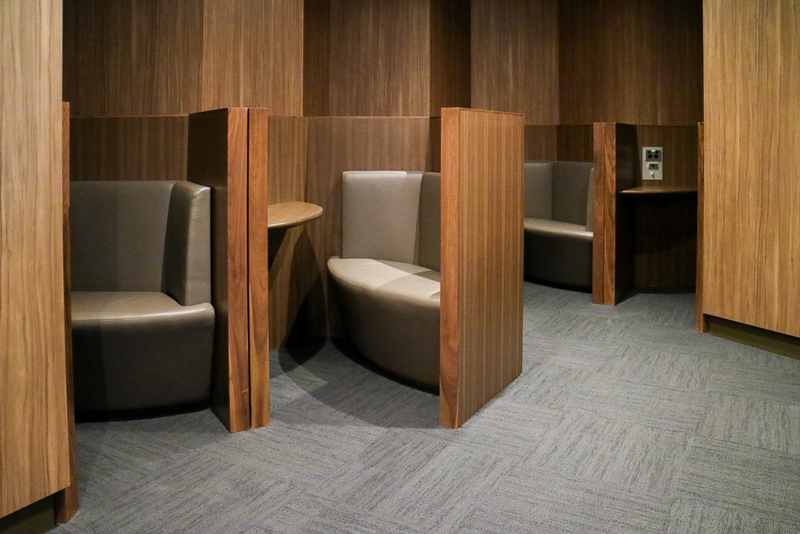 There is also a more secluded lounge area, tucked in an alcove. 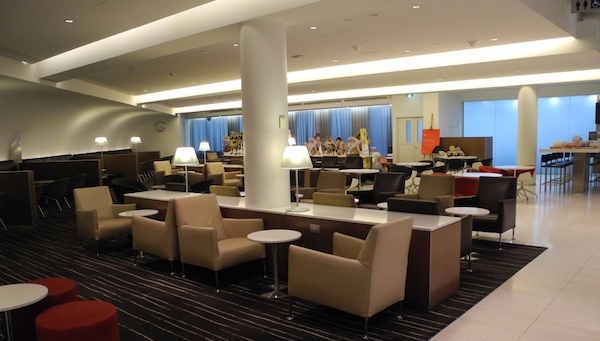 The dining area is spacious and separated from the lounge area by a large divider in the middle of the facility. 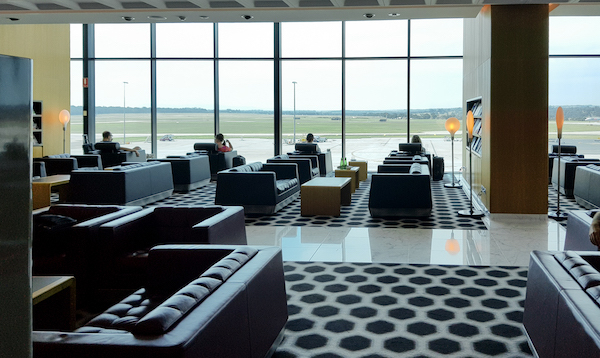 The lounge affords good views of the apron. 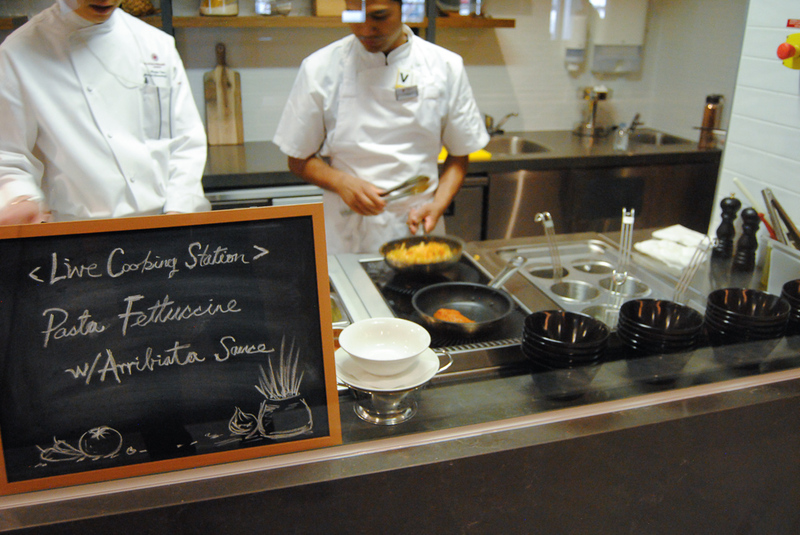 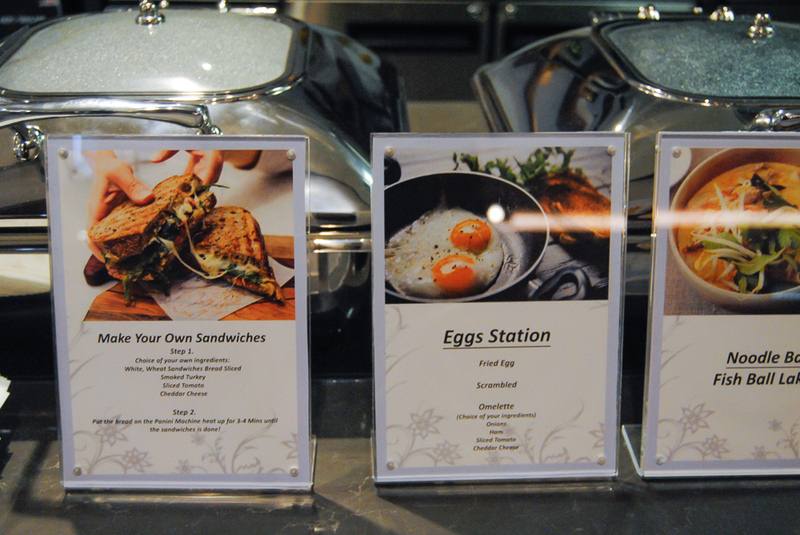 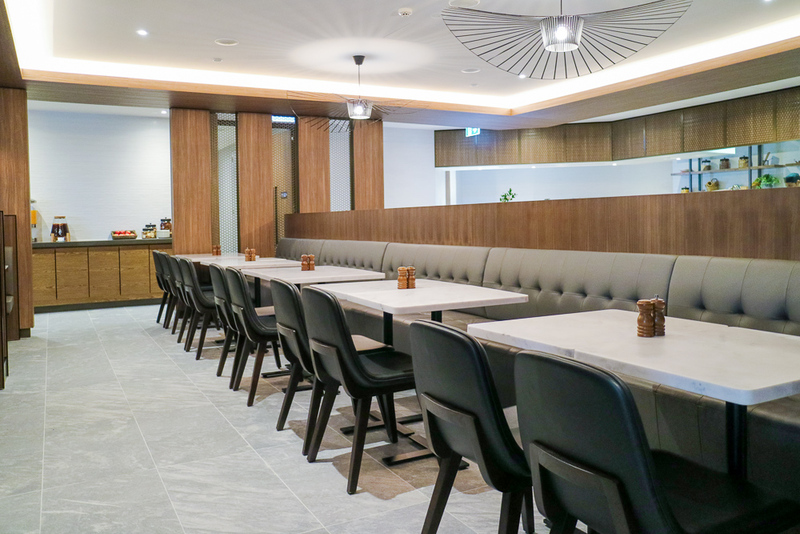 When we visited, the food selection was simple yet homely, with a good range of hot, cold and vegetarian dishes, including some DIY sandwiches, made-to-order pasta and seafood laksa. 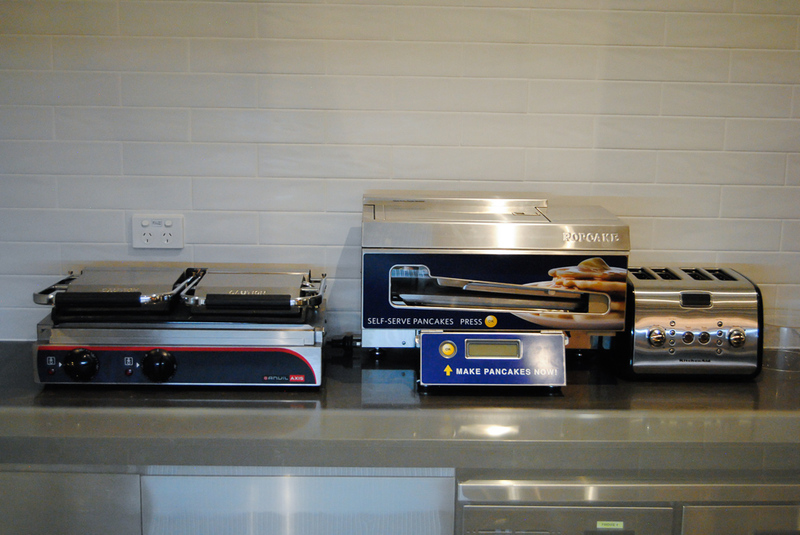 You’ll also find a pancake machine. 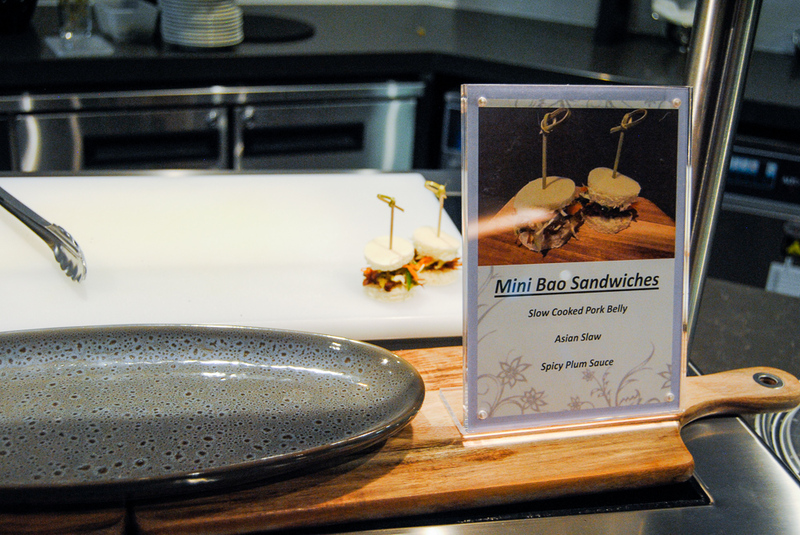 We enjoyed sampling the mini pork bao sandwiches. 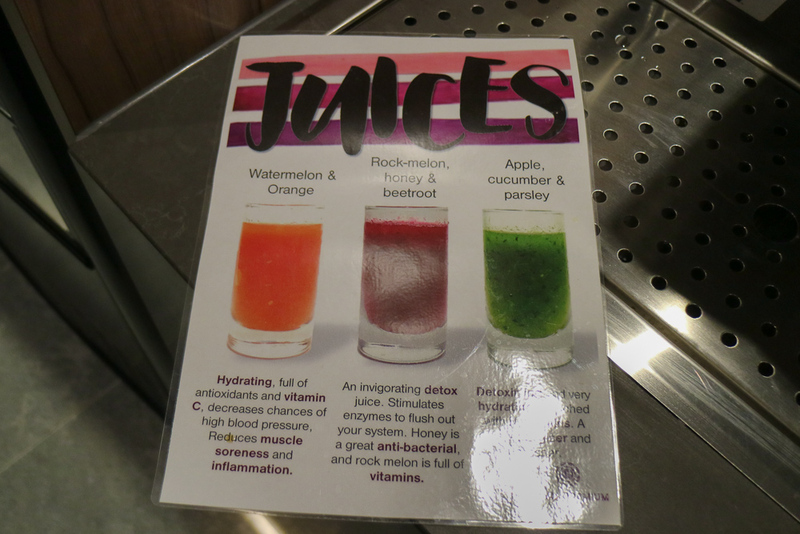 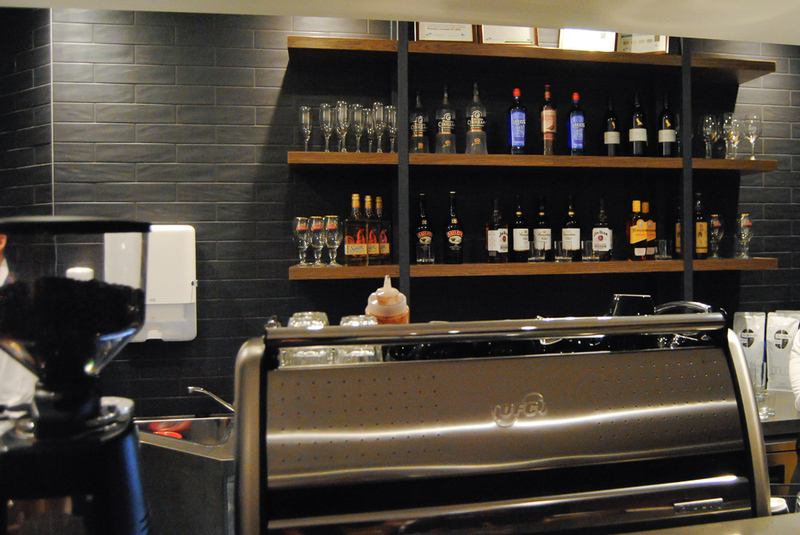 The lounge also has a wide range of beverage options, including a variety of fresh mixed juices, an all-day barista service, Shelbello coffee and good quality spirits. 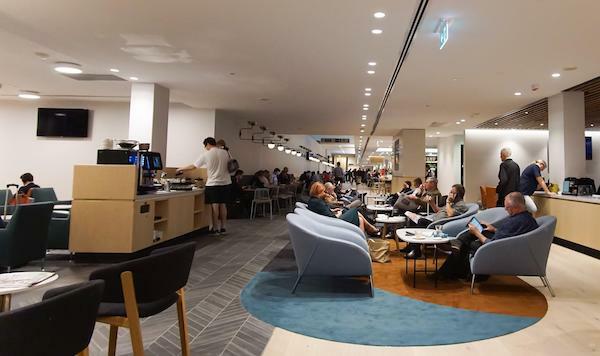 There is high-speed wifi available but there are reports that the wifi blocks email applications using IMAP, like Outlook. 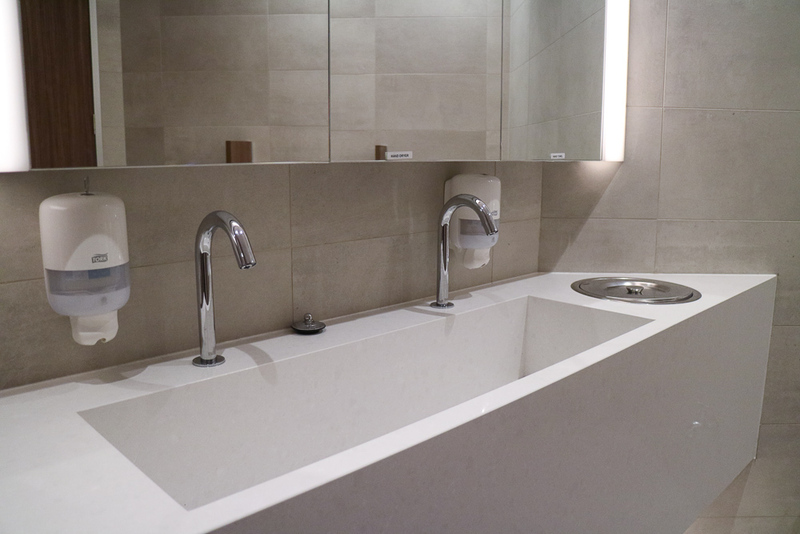 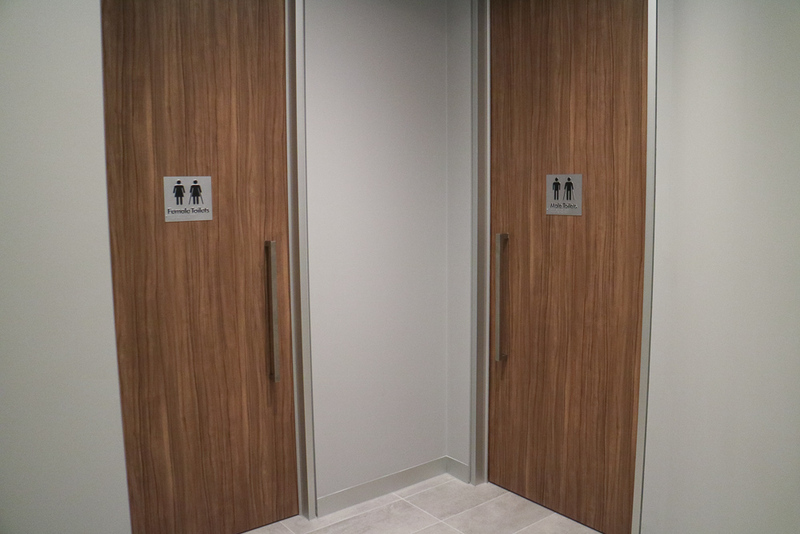 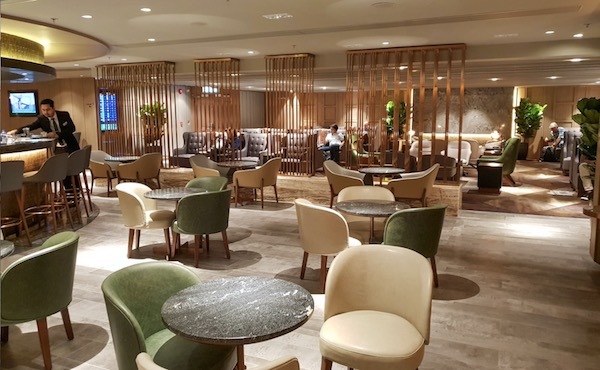 The lounge shares bathrooms with the American Express Lounge, with showers expected to be operational in the second half of 2018. 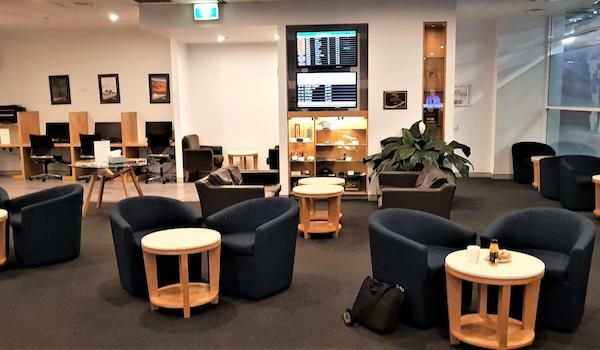 Thankfully, there are no flight announcements over the PA, so make sure to keep up-to-date with your flight status on your device or the screens in the lounge. 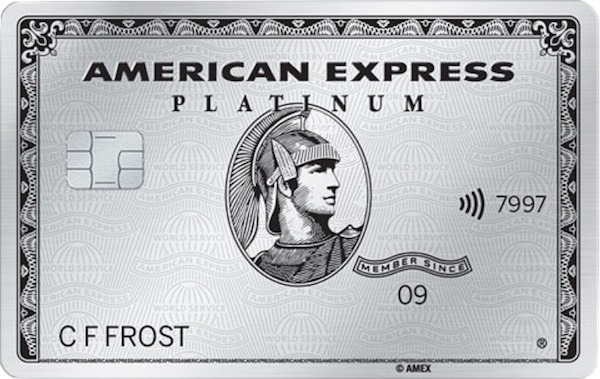 American Express Platinum Charge and Centurion cardholders get unlimited access to this lounge and can bring two guests. 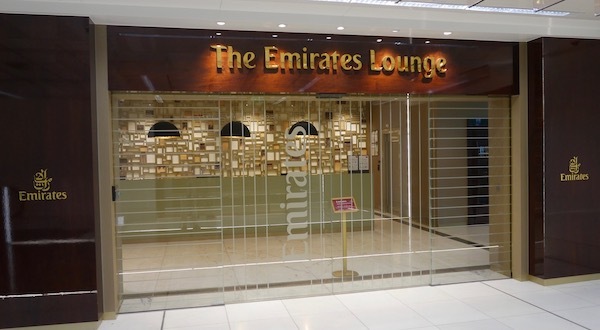 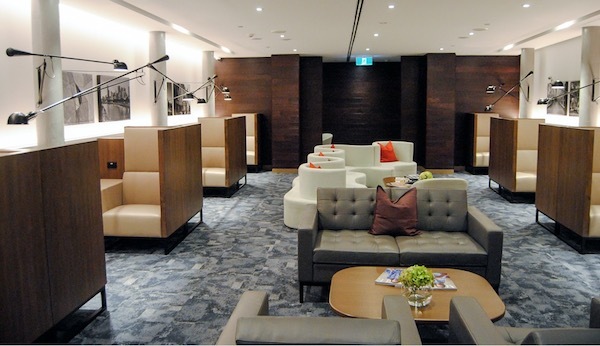 Priority Pass cardholders can also access this lounge, with your particular credit card determining guesting privileges. 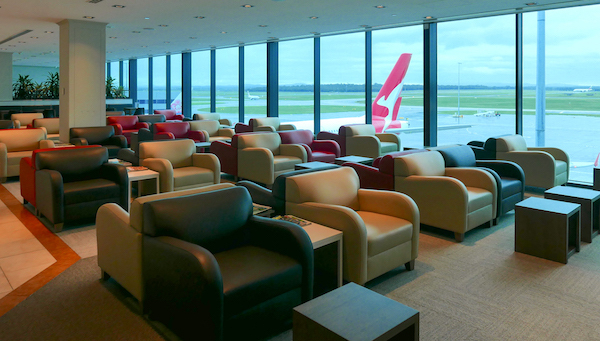 As the only walk-in lounge at Melbourne, you can purchase access for two hours for $60 or three hours for $70. 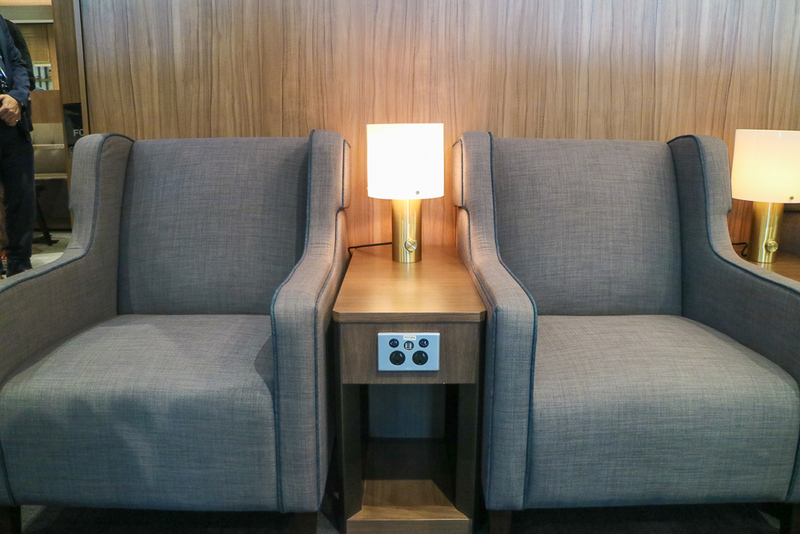 In the future, we may see premium cabin travellers on airlines, like ones in the SkyTeam alliance, granted access. 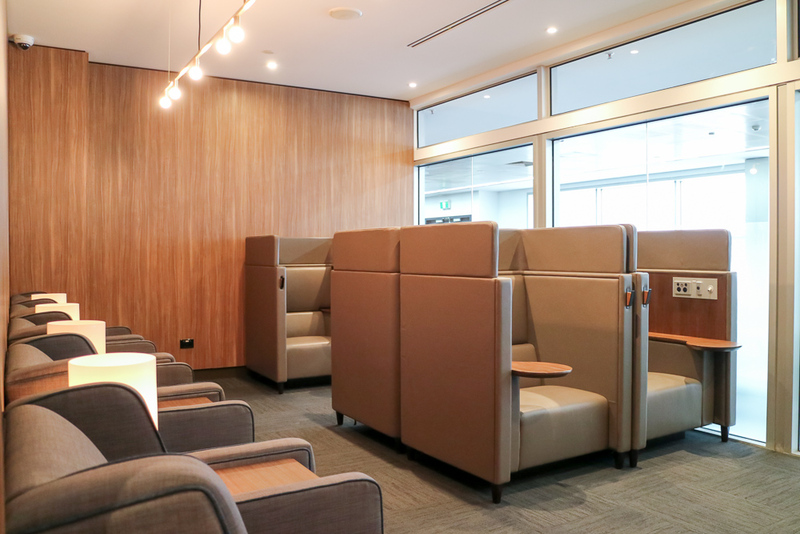 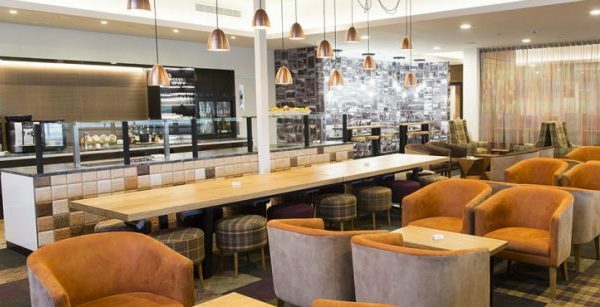 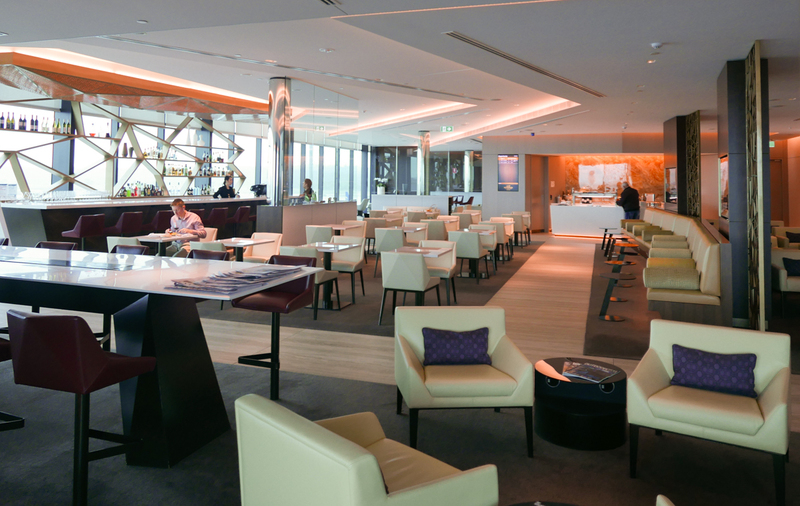 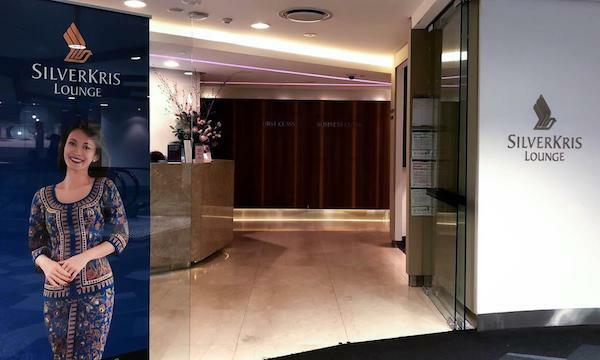 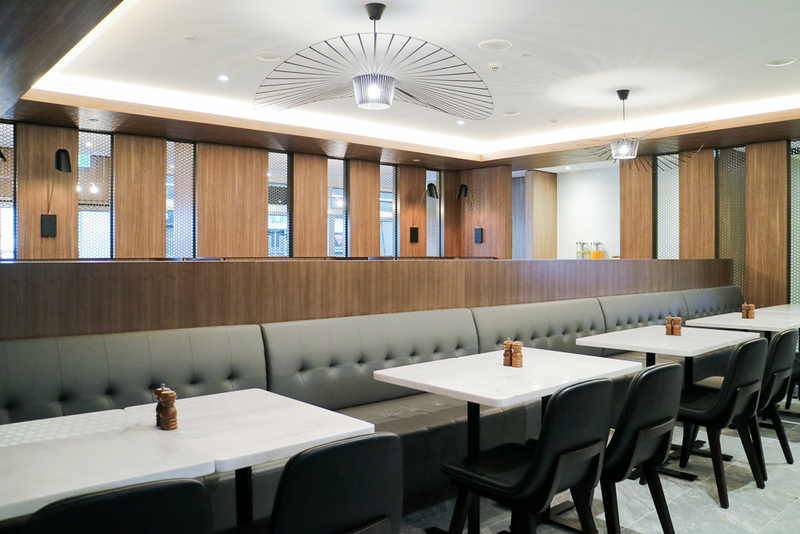 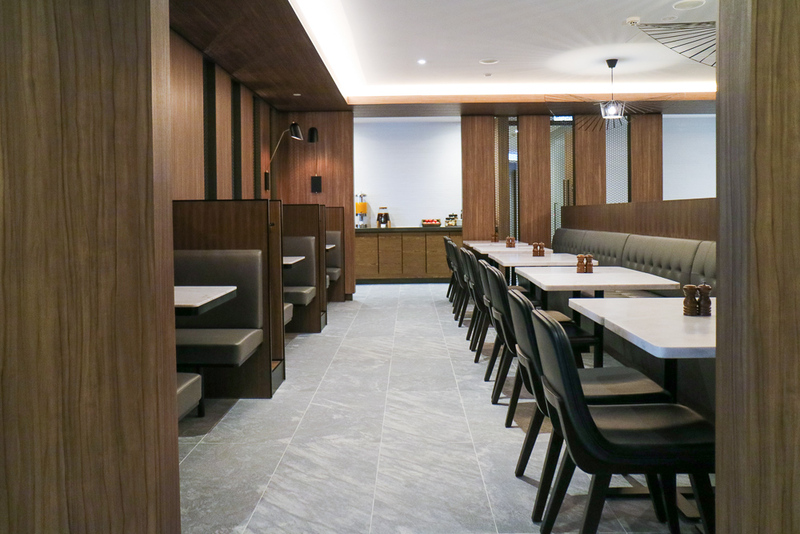 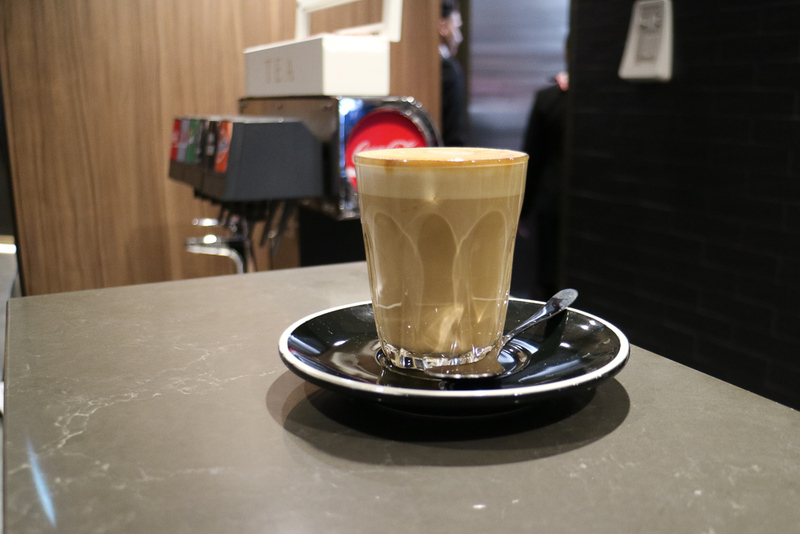 The Plaza Premium Lounge in Melbourne’s international terminal offers delicious food, a good range of beverages and a space to relax to passengers travelling with any airline in any class of service. 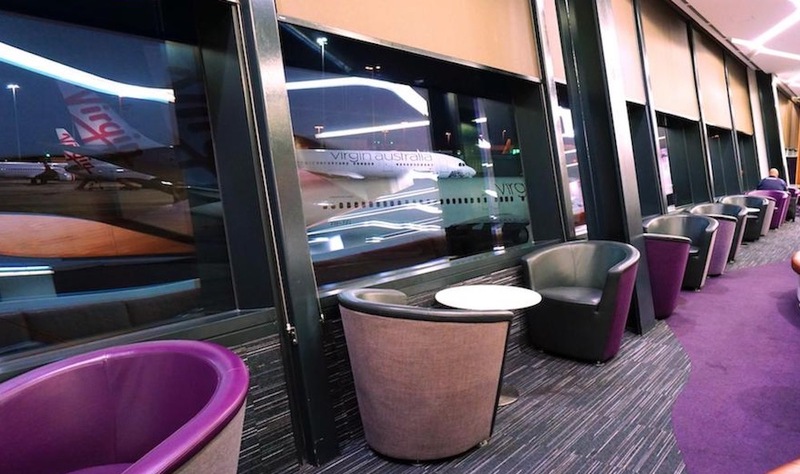 However, this lounge is not ideal for those wanting to get work done in a comfortable environment.